From Rio de Janeiro we made a day trip to the island Paqueta. You can reach this island by pond (departs multiple times a day from Praca Quinze de Novembro – the centre of Rio). The island is not really touristy which makes it a lot better! It feels like you went back in time: horse and coach are the main way of transportation, there are nice little cafes with views on the sea and they play great music. This island is a really good place to stay! During the year, lots of festivals and concerts are hosted on the island. 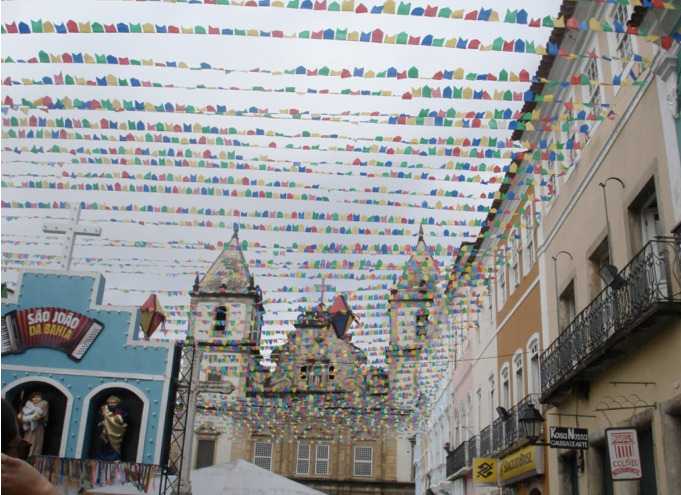 When we were there, we were able to experience a Samba festival! You can enjoy the music, food and drinks, there are people dancing around and sun is setting on your right. This place is absolutely beautiful and worth going when in Rio!